It's not perfect by any means, but the hole is fixed and I can do it better next time. For starters, I should have used an orange section of the yarn. And the loops? Yes, they are excessively long, but you know they make for a very comfortable heel. I'm quite satisfied for my first attempt and thinking that some of the shop-bought socks I've thrown away could have been made to last longer if I'd tried to fix them. 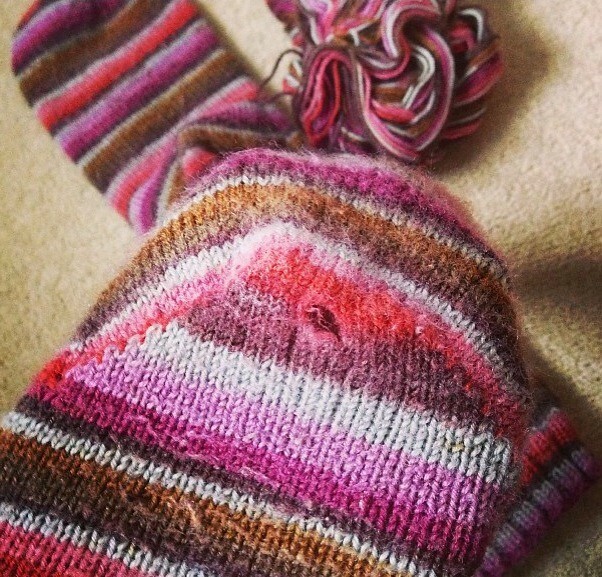 How long do your handknit socks last before needing repairs? Do you bother fixing socks you didn't make or do you just replace them? You, my dear, are pretty darn fabulous!! I have started to notice a little wear and tear on my handknit socks recently. When I have a hole I will darn it, but for future preventative measures I am doing afterthought heels and then I can just unravel the heel and re-knit in spare sock yarn, probably the original sock yarn, if I know my own hoarding abilities! Mushroom and Youtube here I come! 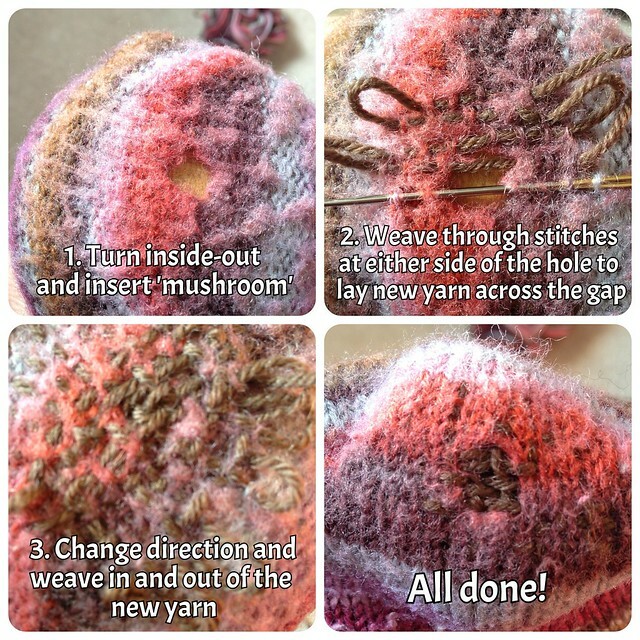 Wow - I am impressed :) Darning has always frightened me off - you make it look easy - those loops are genius! You did a good job darning. My Monkey pair had a big oli' hole and I dunno why. Me thinks the princesses playing around in the closet had something to do with it. Thank goodness I had more yarn and my mum darned it. If these are handy it's, I'd say fix them. It took too much work to make them.